The ability to back up your data and recover is one thing, but let’s also consider the opportunity to leverage that backup data or even the ability to leverage the investment you made further with your production storage. Enabling other parts of your business to benefit from that data is even more important as we are in a world that is critically reliant on data. Some of the areas that could really prosper from near-live copies of the production data on performant and efficient storage are security testing, IT administration tasks, DevOps and Analytics. Why take complete copies for these purposes? Why potentially affect the production workloads whilst running analytics or other processes against production workloads? Veeam DataLabs allows for this, the ability to use backup files or even replicas, and run a copy of the instance in an isolated network to perform any task outside of the production environment. Also included, is the ability to leverage application-consistent storage snapshots from the many storage integrations vendors support today. For example, you can provide self-service for developers to spin up copies of the data as they design new features. You might provide sandbox environments for IT Operations to test new patches and updates before they are rolled out across the company. The Security and Forensics teams may use copies of the data to test for security vulnerabilities without disrupting the production systems, or for performing forensics on an event that was picked up through their security incident and event management platform. Or maybe the compliance and analysis groups need to provide statistics and analysis on data growth or data types. In order for this to work, we need to create three things in Veeam Backup & Replication. This can be achieved in the user interface or via PowerShell. Once these three components have been configured, you can begin taking advantage of Veeam DataLabs. It’s a one-time setup. The Virtual Lab is a small Linux appliance that runs within your environment and provides a gateway to your “lab” environment, allowing nothing to pass back through to the production environment. This appliance will run within the target environment within the virtual infrastructure. The concept of an Application Group is that many workloads do not work alone, they require multiple instances to truly be able to test functionality of the overall application. The Application Group will group together all of those components and dependencies. This Application Group can be selected from storage snapshots, backups or replicas, and they can be mixed to allow for different tiered instances to be included in the isolated environment. The SureBackup job is the policy-based schedule and group of when and where we want the sandbox environment to run. This job brings together the Application Group and the Virtual Lab. 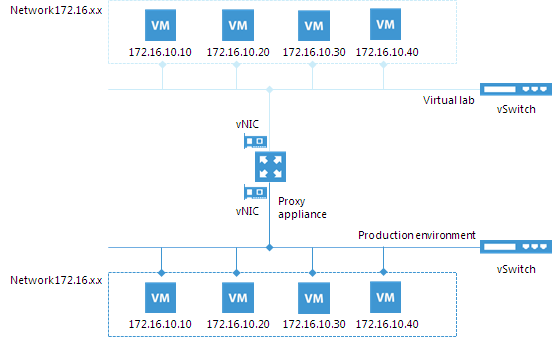 For example, you may have multiple Virtual Labs configured for different sites and locations. You may also have multiple Application Groups for different test and development cycles. The particular process that I would like to cover is when using the storage snapshot integration. Veeam will then trigger a copy of the storage snapshot, this will ensure that the snapshot will remain the same during this process. The snapshot copy is then presented as a new datastore to the environment where the virtual lab has been configured. Veeam will then reconfigure the configuration files. Start the VM(s) at this point. The sandbox environment is ready to perform the required tasks. Once the process is complete, and the copy and environment is no longer needed, Veeam will automate the following procedures: Power off, clean up, unmount datastore and the final power off of the virtual lab. The final task is to remove the storage system snapshot copy. I think you would agree this process is above the everyday backup and recovery that is essential in all businesses today. The ability to reach additional touch points within the business and offer the value of data without affecting the day-to-day running of a production system is a real value to many.